There are some who are under the impression that Instagram won’t yield results, they start Instagram accounts and then close them. But whether you’ve tried and failed, or have never even logged in, now is the time to get on the Instagram train. A solid Instagram account can transform your social media following and generate revenue for your business. 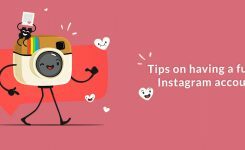 Many business owners dive right into Instagram without taking the time to correctly set up their profiles – which is a big reason why so many businesses fail with Instagram. First, you need to create an impactful profile photo. Don’t go with a generic photo or people won’t understand what you offer, instead, use your company logo so that your ideal customer will identify your brand by first glance. Use your company’s name again for your username and take out the spaces which aren’t allowed in usernames. For example, if your company was named “My Company,” your username would be mycompany. Add your website’s URL. You have two options for this – either use your main URL, or send people to the link that contains your special offer. You can always go back and change this URL as your offers change. Finally, complete your bio. This is your chance to let people know what you offer. Speak in clear language, explain your business’s value proposition, products/services, and how your ideal customer can reach you. 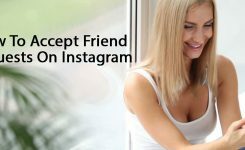 Many businesses think in terms of followers when building an Instagram presence, and because of that, they buy followers or use other nefarious tactics to increase their following. Then, they wonder why they’re not getting results. Instead of thinking in terms of followers, think about building a community. You don’t just want followers, you want engaged fans who will act as brand advocates. These are the people who’ll comment on your photos and engage in conversations. They’ll @mention your brand and help build excitement. These actions will help your community grow even bigger. The thought of creating a community might seem overwhelming, but you already have a community you can tap into. Use your email list to reach out to people, let your list know that you’re on Instagram and would appreciate a follow. As you move your community over to Instagram, it’s important that you keep them engaged. Instagram might be for pictures, but that doesn’t mean you can’t include a call-to-action on those pictures. You can caption your pictures, so use the caption for your CTAs. Over time, you’ll discover what your audience responds to – then you can create more of the same. You’ve started building your highly engaged community – now, it’s time to take it to the next level with branded hashtags. Your community members will use the hashtags, and that’ll increase your Instagram presence. You can also create a branded hashtag and add it to your bio – this will let your followers know what hashtag to use when talking about your company. People can also click on the hashtag to see the posts associated with it. Don’t be afraid to switch out branded hashtags from time to time. Create various hashtags for different campaigns, then measure your results to find out how your hashtags perform. First, there’s the overall strategy – this is the strategy you’ll employ for all your Instagram campaigns. Then, there’s the strategy you’ll employ for your individual campaigns. This strategy will change from one campaign to the next – for example, you might run a campaign to get more followers, and another campaign to get clicks to an external URL. It makes sense that these campaigns would have different strategies. Regardless of the strategy that you’re creating, it needs to contain certain components to be successful. You also need to think about the types of photos that you’ll use – you don’t need to list the actual photos, just think about the kind of photos you will need. In addition, you need to consider when you’ll post. Think about how many times per day, or week, you’ll pos updatest, and when you’ll add those posts. Will you post in the morning, or do you need to post at night? Maybe you need a mixture. Next, create a list of the influencers that you want to reach. Influencers can amplify your content and help you build trust with your followers. Find out which of your market’s influencers use Instagram, and then decide which ones should be a part of your campaign or overall strategy. Stories aren’t just for the written word – you can build a story with pictures as well. If you can tell your story with pictures, you’ll kill it on Instagram. While there’s a lot that goes into a story, it needs to be based on one thing: it’s about your brand. What is your brand’s message? What’s the purpose of your brand? If you can answer those questions, you can begin to build your story. Let’s say that you run a camping supply store. Your brand was built with the goal of increasing happiness for customers by helping them enjoy the outdoors. Using that as the basis for your story, upload photos that show the joy of experiencing the great outdoors. The joy of experiencing the great outdoors is your main narrative which you can build upon by including pictures that tell their own stories. For example, include pictures of individuals enjoying the great outdoors. These stories will fit into the main narrative, but they’ll also stand on their own as well. Once you know your brand’s story, you’ll be ready to reach out to influencers in your market. Influencers are also considered to be power users – these users will help you to rapidly build a following. If you want to be taken seriously on Instagram, this step is essential. If you don’t want to spend money, go with the free option. This takes extra work, but it’ll help you get authentic endorsements, and build some additional trust with your followers. In order to do this, you need to engage with the influencers – follow them on Instagram and then comment on their photos. You can also tag or @mention them – they’ll be notified when you do this. 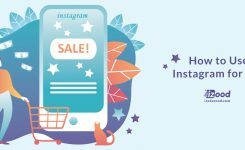 There’s a good chance that you aren’t familiar with Instagram Advertising – it hasn’t been available for that long, but it can be a great tool. And because Instagram Advertising is a part of Facebook Ads, you can target your ad content like crazy and get the results you want. Start out small and scale up. Over time, you’ll be ready to run a huge ad campaign. By then, you should know what your audience wants, and you’ll be able to get instant results. What’s the number one rule on social media? Don’t make too many promotional posts. That might be true on Facebook and Twitter, but you can make lots of promotional posts on Instagram – so long as you get creative. You don’t have to copy what other brands have done with this – blaze your own trail in order to get the most engagement.